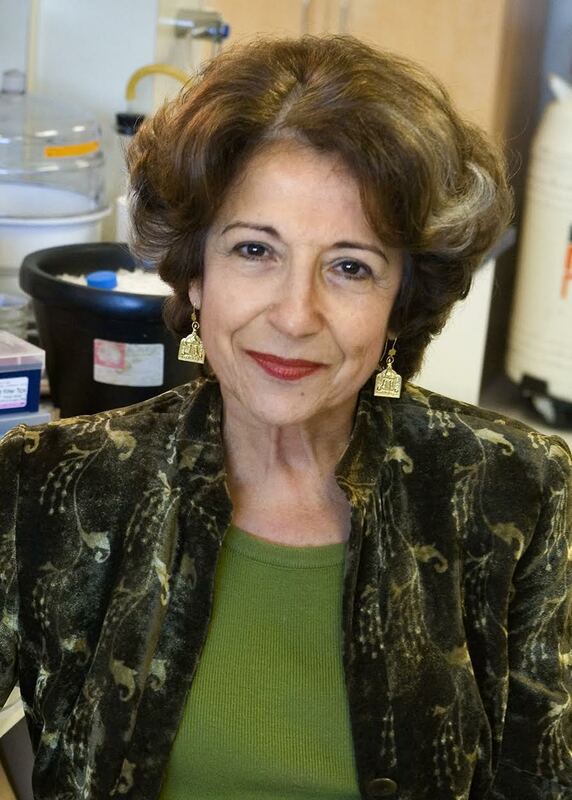 Dr. Mina Bissell is a Distinguished Scientist in the Life Sciences Division of the Lawrence Berkeley National Laboratory. She received her B.A. in Chemistry from Radcliffe College and a M.Sc. in Bacteriology and Biochemistry as well as a Ph.D. in Microbiology and Molecular Genetics from Harvard University. Afterward, Mina was awarded a Milton Postdoctoral Fellowship at Harvard University followed by an American Cancer Society Postdoctoral Fellowship at the University of California, Berkeley. She started off at the Lawrence Berkeley Laboratory to study cell biology and cancer viruses and has dedicated over 40 years of her career to exceptional research there, rising through the ranks to her current position. Mina has received many awards and honors during her career. Just to name a few, she was awarded the highest award of the Department of Energy called the Lawrence Award, the Lifetime Achievement Prize from the Lawrence Berkeley National Laboratory, the American Cancer Society’s Medal of Honor, the Susan G. Komen Foundation Brinker Award, an Honorary Doctorate from Pierre and Marie Curie University, and many more. In addition, Mina has been elected as a Member of the National Academy of Sciences and a Member of the Institute of Medicine of the National Academies. She is also a Fellow of the American Association for the Advancement of Science, the American Academy of Arts and Sciences, the American Philosophical Society, and the Royal Society of Chemistry. A few years ago an award in Portugal was created in Mina’s name, and the Mina J. Bissell Award is given every 2 years to a person who has changed our perception of a field. Mina is with us today to tell us all about her journey through life and science. In her free time, Mina loves to exercise. She keeps an elliptical in her office at work and a stationary bike in her office at home to fit in exercise while she is talking to people. Mina is married, and she has two children and four grandchildren. She really enjoys being able to spend quality time with her family. Mina is also passionate about theatre, and she tries to fit in as many shows as she can whenever she travels to places like New York and London. You can also find Mina reading a good book, hiking, and gardening when she’s not busy in the lab. Her work is related to some very fundamental questions in biology. There are trillions of cells in our bodies, and every cell in a person’s body has the same genetic information. Mina studies the area of tissue and organ specificity that answers the question of why the cells in a particular part of your body form the structures they do and not something else. For example, how does your nose know to be a nose and not an eye. Tissue and organ specificity are fundamentally related to cancer. When cells forget their tissue-specific functions, they start doing something else. They can begin to pile up, form tumors, and travel elsewhere in the body. To this day, Mina is still not sure what exactly inspired her to pursue science. She graduated from high school as the top student in Iran and came to the United States to attend Bryn Mawr College. At that time, she didn’t have any idea what she wanted to study. Mina debated between majoring in chemistry or majoring in English, but she ultimately chose chemistry. However, Mina stresses the importance of making your own career and always keeping a second career in mind in case your first plan doesn’t work out. Mina was two months pregnant with her second child when she interviewed for a postdoctoral position working in the laboratory of Melvin Calvin, a Nobel Laureate in chemistry at the University of California, Berkeley. She got the job, and was seven months pregnant when she walked in for her first day of work. The moment Melvin saw her, he fired her on the spot, saying he didn’t allow pregnant women to work in his laboratory. Mina also shares her frustrations working with a horrible boss who (among other things) was trying to take over her space and wouldn’t sign her grants to allow her to get the funds for her research and staff. Mina’s favorite and most cherished travel memories come from her time in Italy. There is a town called Trento, which is home of the Pezcollar Foundation. Years ago, she won an award from the Pezcollar Foundation and was able to travel to Italy to give lectures and receive the award. The award was given to her in this beautiful palace, they had dinner in another lovely palace, and musicians played a sonata they had composed for her. Her husband was able to travel with her, and it was a phenomenal experience. During this trip, Mina also met a wonderful immunologist who she is still close friends with today. Mina often has the opportunity to talk to students when she travels, and she has really enjoyed sharing her stories with them. One story Mina likes to tell is that when she was struggling to work with a difficult boss, she told herself that if it didn’t work out, she would open a Persian restaurant, and it would be an excellent restaurant. She encourages the students to keep a second career in mind because it can give you the courage to make changes in your life. Mina also shares some funny anecdotes from her time working with Melvin Calvin. Don’t be arrogant. It kills curiosity and passion. Mina is a pioneering scientist investigating the roles of the extracellular matrix and cellular/nuclear microenvironment in tissue specificity and malignancy. Her work has important applications for improving our understanding of cancer, and much of her research has focused on clarifying the processes underlying development of breast cancer. Through her innovative research, Mina has changed some central paradigms that have strengthened the importance of context in the development of cancer. Mina was born in Tehran, Iran, into a highly-educated, well-off family who was very supportive of her academic pursuits. She raised two children as an early-career scientist, starting her family while she was a first year PhD student. Mina strongly advocates for women’s ability to pursue both a fulfilling career, as well as a happy family life, and she serves as a role model in this regard for many of her students and colleagues.